Engine: 6.0-liter V12 470 hp (346 kW) torque of 442 lbs-ft at 5000rpm, maximum 6000 RPM. Reaches 0-100 km/h or ~0-60 mph in just 4.6 seconds range. Top speed is 306 km/h (190 mph). Price (MSRP) for a base model was set at 201,000 USD ($). Current price of a 2011 Aston Martin DB9, in 2013, starts from around 126,000 USD ($). Car has a 6-speed Touchtronic paddle-shift automatic transmission. Comes with a rear-wheel drive system. Fuel economy is 11 mpg in city & 17 mpg in highway. Curb weight is 1760 kg (3880 lbs). Length is 4710 mm, width is 1875 mm, height is 1270 mm. Exterior has a new front bumper for the better modern looks of this car. Some minor updates to the headlights were made too. It’s only minor updates, and it’s not very noticeable, unless you look very carefully. Upswept sideskirts and silver brake calipers got some minor updates too. Car is on 20-inc diamond-turned alloy wheels. Interior includes the highest quality leather seats, and these seats are really comfortable. Even after a long driving, you will be smiling, and saying how really comfortable these seats are. Can’t describe in words, must try it by yourself. And these seats are so comfortable not just in the front, the same goes for a rear seats. Car manages to drive about 650 kilometers till its 80 liters tank is out, which is really solid number for a car like this. 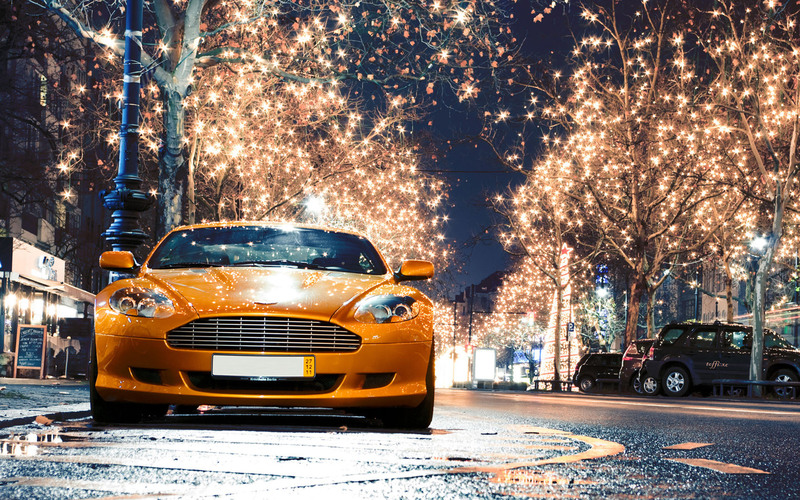 This 2011 Aston Martin DB9 with an orange exterior really brings a high quality for a modern exotic sports car. It still keeps the same good aura, and it’s a very good and powerful car. One of the elite cars.